Try Cauliflower Hash the next time you have corned beef left over, healthy conscious folks. Serve it as a main brunch meal. Potatoes contain nutrition, but Cauliflower Hash can be used as a substitute if desired. 2 teaspoons Blend of oregano, cumin, coriander, garlic, cilantro, saffron Or use your favorite seasonings. Cut corned beef into cubes. Mix corned beef, cauliflower, onion, and egg then stir in milk. Divide the two tablespoons of coconut oil into the bottom of slow cooker. Pour cauliflower mixture into slow cooker. Cook on high for three hours. 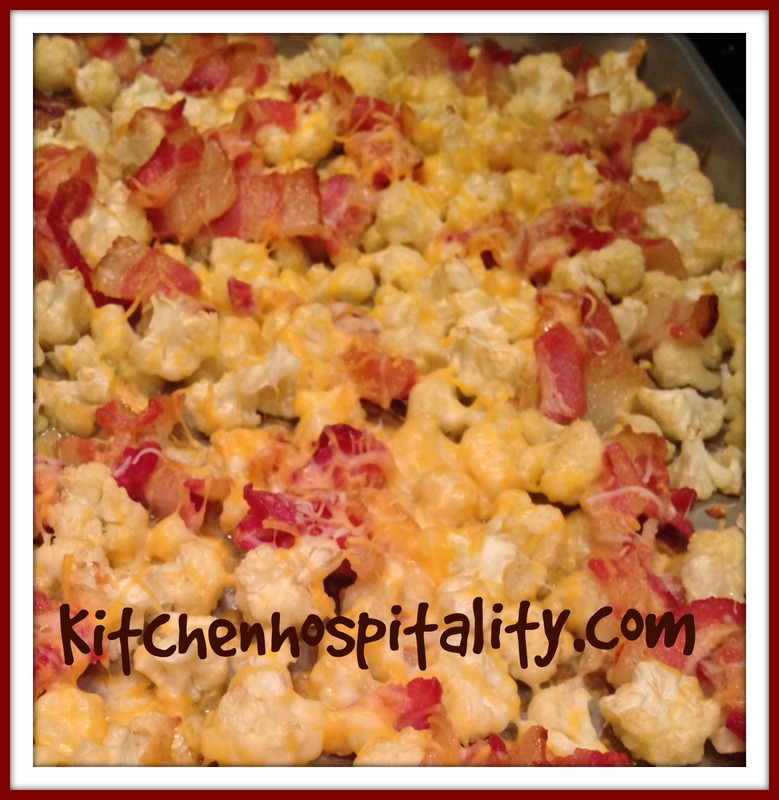 Fry four pieces of bacon, crumble into small pieces, then sprinkle them on top of cauliflower hash when done. There are about 25 calories, 2 grams of fiber, and 2 grams of protein in one cup of cauliflower. Of course, the amount of calories changes as you add the additional ingredients from the Cauliflower Hash recipe above. But compare the difference between cauliflower hash and potato hash. One cup of diced potato has 110 calories. Use turkey bacon, or leave out the bacon option if you choose to eliminate those extra calories. Not worried about the calories? Go all out then, and enjoy the bacon. This Cauliflower Hash can be baked instead of cooked in the slow cooker. If you’re home all day and want to bake it in the oven, try it at 350 degrees for about 30 minutes (less if your oven cooks fast). Monterey Jack – I’ve made this recipe with the Monterey Jack which is also a favorite recipe of mine. Kerrygold Dubliner aged cheese – This cheese has a sharp yet sweet flavor and is imported from Ireland (tastes SO good). Swiss cheese – goes great together with corned beef. You could even make an open face sandwich on rye bread, add sauerkraut if you like, and top it with the Cauliflower Hash & Corned Beef mixture. Cauliflower Hash & Corned Beef cooked in the slow cooker is very easy and makes a wonderful meal for two. Enjoy! I love cauliflower and like this idea. I love the calorie savings,too. Adding fried bacon pieces on top at the end of cooking makes the cauliflower extra good! !